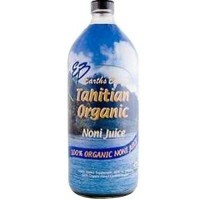 Support healthy digestion and reduce harmful toxins. 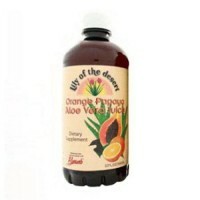 Lily of the Desert Aloe Vera Juice Cran-Apple. Description: Refreshing Flavor. Nutritious and Satisfying. Lily of the Desert has been leading producer of Aloe Vera since 1971. Our Whole Leaf juice and gel products are made with Certified Organic Leaves which are grown in the fertile Rio Grande Valley of Texas. As the largest Certified Organic Grower, Processor and Distributor of Aloe Vera products, we work hard to provide our customers with the purest aloe in the marketplace. By maintaining control of the total process, Lily management can ensure that its products meet or exceed the highest industry standards. Great Tasting Flavor. Full Strength 1:1 Formula. 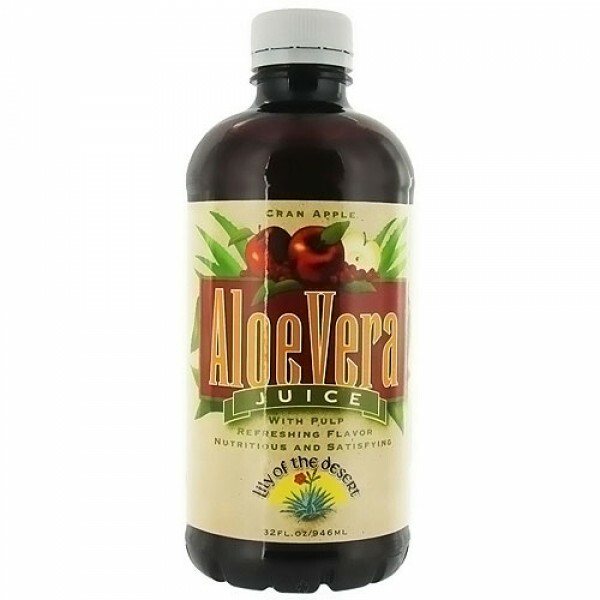 Made with Certified Organic Aloe Vera Leaves and pulp. No additives. State of the Art Technology and Process. Contains 46 percentage more Aloe Polysaccharides than other leading brands and highest molecular weight polysaccharide ever studied. 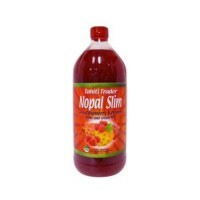 Free Of (Aloe Vera Juice Cran Apple--Nutrition Facts for-- 2oz. Additives. Additives. Disclaimer: These statements have not been evaluated by the FDA. These products are not intended to diagnose, treat, cure, or prevent any disease. Other Ingredients: Pear Juice Concentrate, Natural Cranberry and Apple Flavor, Xanthan Gum (Thickening Agent), Citric Acid (pH stabilizer), Potassium Sorbate (mold inhibitor).